Thursday night to Friday morning saw two more inches of fresh snow fell on the top of the Sandias. 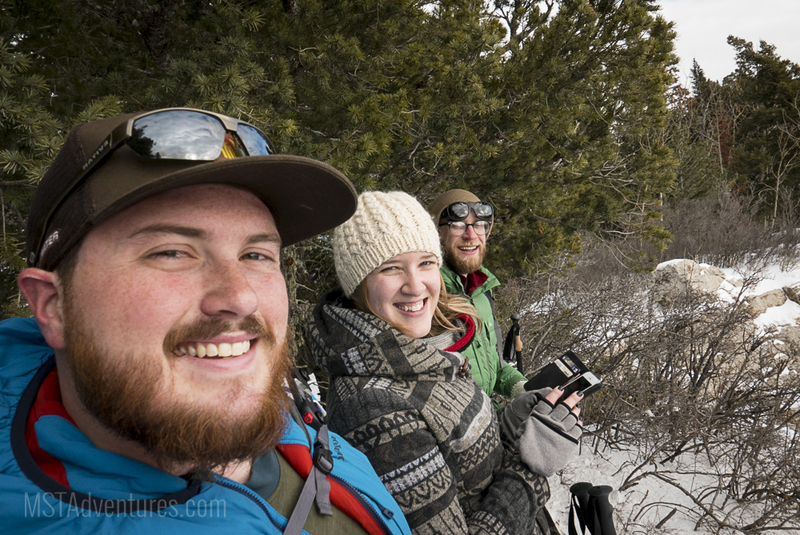 Unfortunately I couldn't get out on Friday, but was able to take Saturday afternoon with a couple friends to catch the tram to the top of the mountain for a quick snowshoe trip. The weather was amazing - partly cloudy, 25°F, and breezy (17 MPH at the top of the tram). All I needed was a pair of long underwear under my soft-shell pants and a lightweight merino t-shirt under my nano air jacket. Since I was taking a few first-time snowshoers, we just took a short trip on the well-groomed North Crest Trail (130N) to the Kiwanis Cabin. The crest trail offers a ton of great vistas as you walk out - it definitely adds time to your hike if you take as many pictures as I do! You can see the Kiwanis Cabin on top of the prominence in the background. 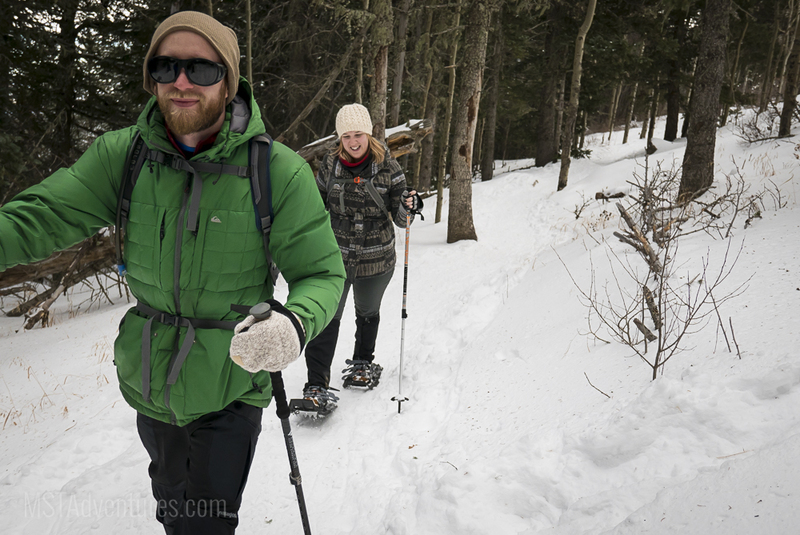 We took about 90 minutes to snowshoe the short distance to the Kiwanis Cabin and back. Its certainly much closer to a 45-60 minute trip, but we wanted to take our time exploring the views along the crest and at the cabin. It was great to see so many people out on the crest also enjoying the snow - hiking, XC skiing, and snowshoeing of course (even a group of our own clients! ).